When it comes to hair, I am a fickle soul. Always wanting different things then instantly regretting any dramatic change. However, I dived into the world of the "LOB" (long bob) and my goodness, I like. Obviously, this was inspired by my spirit animal, my ultimate girl crush, Rosie Huntington-Whitely. I mean, who wouldn't want to emulate her in every single way, right? 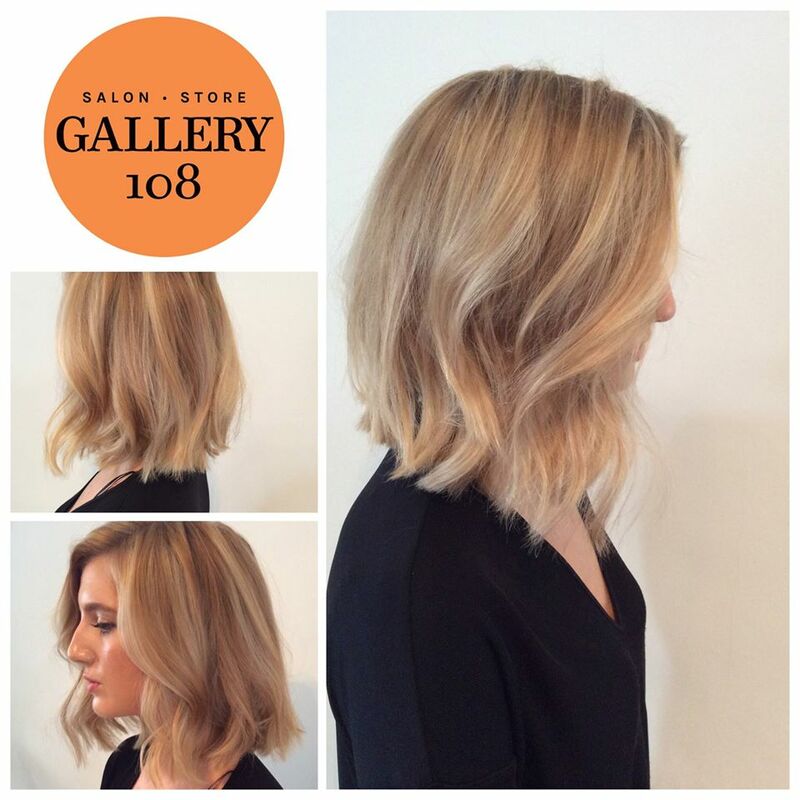 I headed straight on over to Gallery 108, an award winning Aveda salon located in Gosforth, that specialise in balayage and free hand colour and they're pretty nifty with a pair of scissors too. I booked in with Becky, the owner of the salon and Poppy, who focused on my colour. Upon visiting, my hair had grown out and became damaged, ratty and just a little unloved after months of not maintaining it. We decided on soft, natural blonde tones which was done by the balayage technique. Balayage is applying colour without using traditional foils but hand brushing the colour through the lengths of the hair, this produces a natural colour that grows out without any harsh root. Once the colour was washed off, Becky took to my hair and chopped away. We decided to go for a blunt LOB, keeping it thick and healthy on the ends, with invisible layers to give it some oomph. She then styled it into a voluminous blow wave which felt and looked incredible. I couldn't believe how exact Becky had got it, it was perfect!